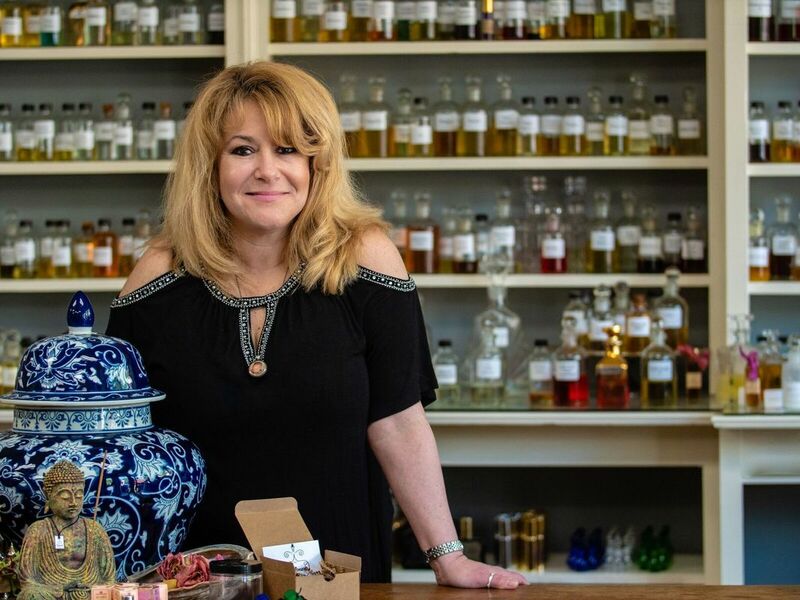 At The Parfumerie, we are always delighted to bring to our customers new and exciting finds. Well, just recently, my daughter returned from a two week “adventure” visiting the enchanted southwestern part of our beautiful country. Kindly, she shared a little gift with me that ignited my senses…taking me back to my birth place of New Mexico. She stumbled across a small family business located in Santa Fe, that creates just charming handmade incense burners, and unique incense bricks…yes bricks, not cones. This unique collection includes clay hand painted holders that are crafted by native artisans. They are truly one of a kind, not masses produced, and bricks scented with the richness essences of, Fir Balsam, Cedar, Pinon, Alder, Juniper, Mesquite, & Hickory. The burning of incense goes beyond fragrance; it transcends into the spiritual realm and is a staple in meditative and prayer rituals all over the world.